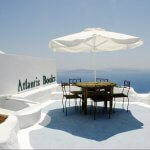 Three weeks prior to my impending move to Australia I spent seven sunny days in Santorini. Beloved by many for its whitewashed, cubic houses and blue-domed churches that overlook the Aegean sea, the island’s beautiful village of Oia offers picture-perfect sunsets to thousands of tourists every year. 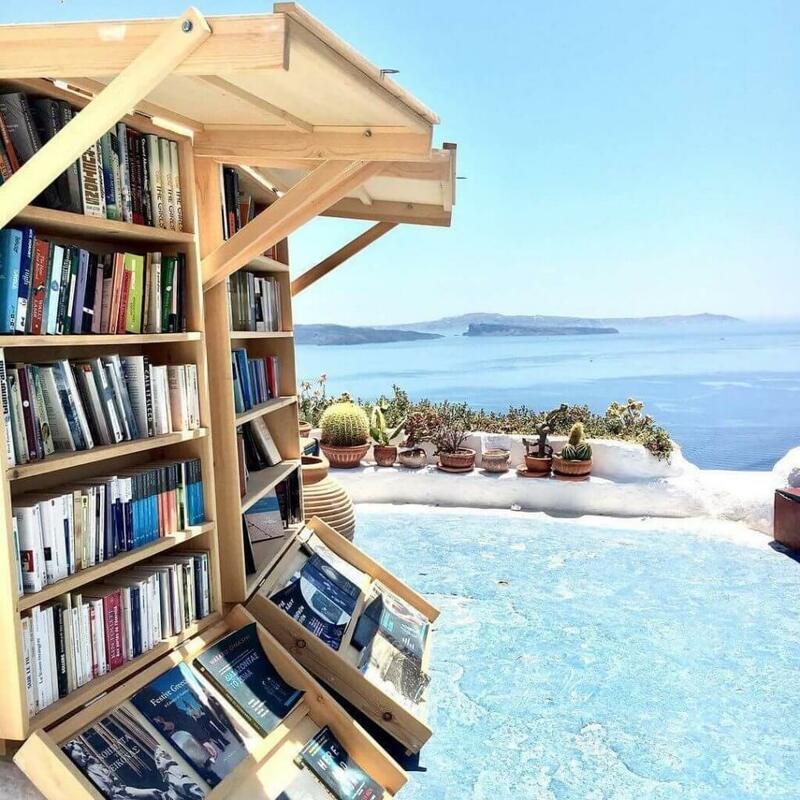 And while the main aim of the holiday was to indulge in some serious R&R following a manic few weeks, top of my list of to-dos was to visit Santorini’s famous bookshop – Atlantis Books in the picturesque village of Oia. We had spent the day aboard a boat; trekking up a volcano, swimming in sludge-coloured hot springs before a final ascent to the peak of Oia that saw us scaling a cliff-side in the late afternoon’s blistering heat. But despite the stream of sweat pooling at our lower backs; undeterred by the near heat exhaustion having spent the best part of the day in the relentless Greek heat, to Atlantis Books we went. An absolute dream of a bookstore, Atlantis Books is nestled down a bustling street in Oia; an outdoor stairwell, sleeping cat and Tenesse Williams quote leading you to its entrance. 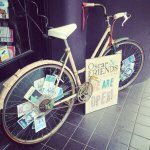 Inside: a haven of the unknown and unread; cubby holes of Greek History, hand-written recommendations; a shelf of first editions priced in their thousands. The bookseller, a friend of the owners, working there for the summer, was ample in his recommendations. 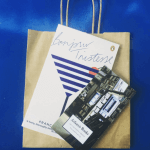 I could have taken twenty; I left with just one – Bonjour Tristesse by French writer Francois Sagan.